My poems usually focus on the visual, and I have to remind myself constantly to consider my other senses. Sound is particularly elusive for me, yet sound is often the backdrop to poetry, caught in the rhythm, alliteration, and the words themselves. A simple exercise has helped me think more about the sounds around me. I sit quietly somewhere and record the sounds I hear in a kind of sound-graph. I start by drawing the ‘x’ and ‘y’ axes. 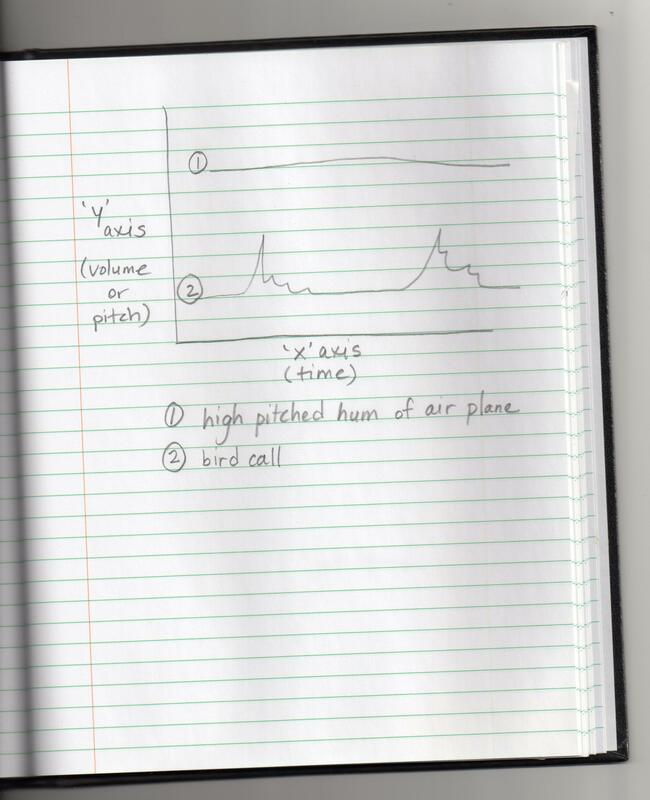 The ‘x’ axis is the passage of time; the ‘y’ axis is the intensity or volume of the sound, and sometimes its pitch. In the example below, I would represent the hum of an air plane by a steady line, and the intermittent warble of a bird with a line of ‘mountains’. I am using my ‘rough book’ so I don’t fuss over being neat and tidy. The purpose is to make myself listen to the sounds around me, compare the sounds, and find the words to include them in my writing. 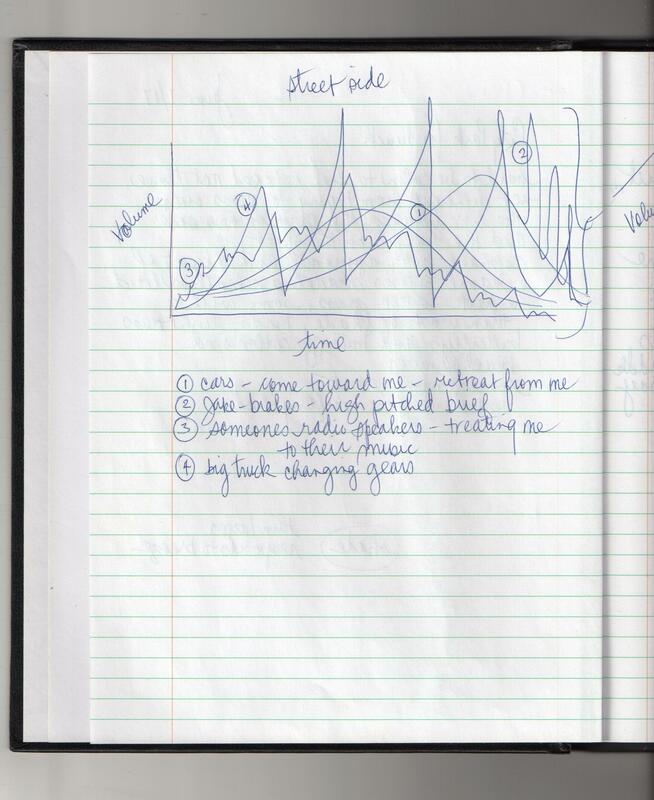 Sometimes the sound-graph suggests the rhythm of a poem. 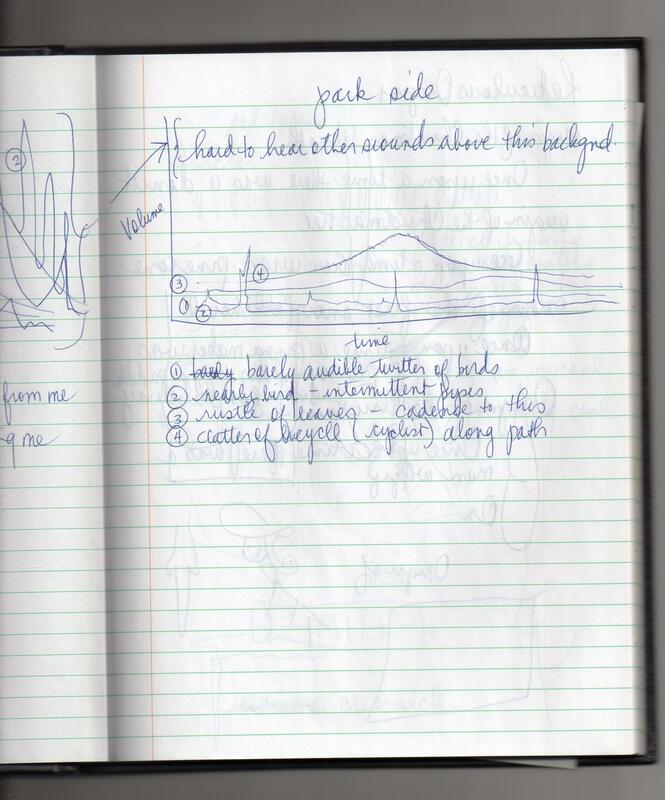 Here are a couple of examples from my notebooks. My favourite thing so far… well, maybe a companion to the bit on fractals. What a cool, playful idea. The graphics are wonderful. Love it!